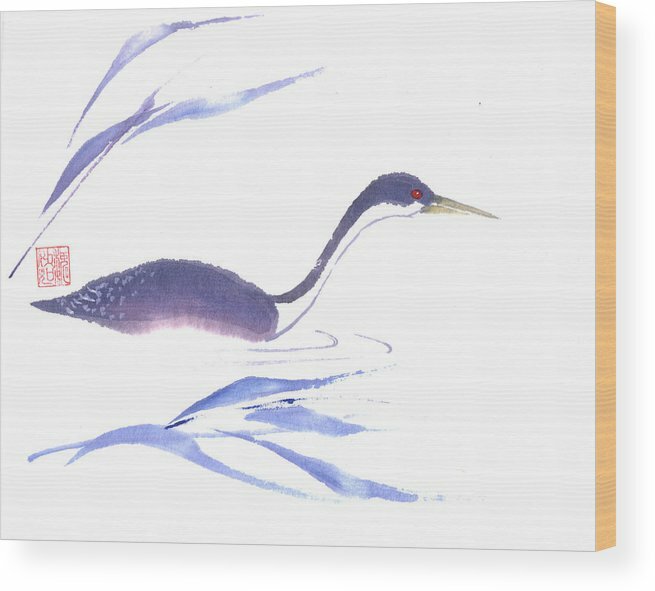 Loon by Mui-Joo Wee - 8.000" x 6.250"
Loon wood print by Mui-Joo Wee. Bring your artwork to life with the texture and added depth of a wood print. Your image gets printed directly onto a sheet of 3/4" thick maple wood. There are D-clips on the back of the print for mounting it to your wall using mounting hooks and nails (included). There are no comments for Loon. Click here to post the first comment. Bring your artwork to life with the texture and depth of a wood print. Your image gets printed directly onto a sheet of 3/4" thick maple wood. All wood prints ship within 3 - 4 business days and arrive "ready to hang" with mounting hooks and nails. Wood prints are extremely durable and add a rustic feel to any image. For additional product photos and information, visit our wood prints product page. Very nice. I haven't had a chance to put over my writing desk yet, but I will. Someone told me that St. Paul.was another patron saint of writers (I guess because he wrote so many letters), but I prefer St. Francis de Sales. 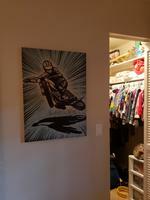 Perfect image for my son's room. Everyone enjoys it. Could not be happier with this purchase. It absolutely made the room. The painted frame creates a pleasantly unexpected effect. Real depth. Outstanding. 10/5 stars. I love everything about this painting. It's uplifting. Empowering. Bright and cheerful. A good reminder to come together as women. I'm happy to have found this artist. Beautifully enchanting and calming. And the wood option works great in my humid climate. A lone loon swimming through tall grass. 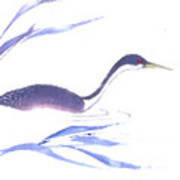 This is a contemporary chinese ink and color on rice paper painting with simple zen style brush strokes. Mui-Joo Wee was born and raised in Singapore. She came to the United States to get her education and received her master degree in Social Work at University of Illinois in Champaign-Urbana. She started painting in 2003 and quickly became immersed in the process. In her paintings, whether it is a tree, a rock or a mountain, the subject becomes alive with distinct personality. Often, the result is accidental which makes it all the more joyous. Her free and loose style conveys movement and energy, and an impression of the spiritual essence in the ordinary. 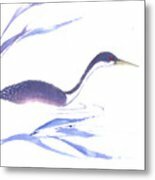 Her paintings are displayed at The Artists Gallery in down town Flagstaff, Arizona and Work of Artists in Scottsdale, Arizona. All wood prints ship from our production facility within 2 - 3 business days of your order.